Humans and androids crowd the raucous streets of New Beijing. A deadly plague ravages the population. From space, a ruthless lunar people watch, waiting to make their move. No one knows that Earth’s fate hinges on one girl.... Cinder, a gifted mechanic, is a cyborg. She's a second-class citizen with a mysterious past, reviled by her stepmother and blamed for her stepsister's illness. But when her life becomes intertwined with the handsome Prince Kai's, she suddenly finds herself at the center of an intergalactic struggle, and a forbidden attraction. Caught between duty and freedom, loyalty and betrayal, she must uncover secrets about her past in order to protect her world's future. I had heard a LOT about this book from my bloggy friends and around the blogosphere in general. As per my usual, I avoided the book when it came out, because I'm an INDIVIDUAL...I Andra, of Unabridged Andra's don't follow HYPE (at least until years later when I can safely say that I'm not part of the fad)...but then I was forced to give in when I saw the shiny new audio book version on Macmillian Audio's fabulous Spring/Summer catalog. I know..I'm a hypocrite...but...but...shiny!! And now I feel the need to apologize to every blogger who told me to read it, and I scoffed in their faces and asked them...why don't I just go read Twilight then...huh?... I owe you all chocolate or something because believe me, getting the audio book was the best decision I could have made. Not only was the story amazing, but I think that having the audio version made it SUPER easy to picture the scenes, characters, and other awesome aspects of the world that Marissa Meyer created! Cinder is a little bit of everything.  There's sci-fi, fantasy, adventure, romance, and even a little bit of steampunk to keep things interesting the whole way through. In my opinion, the characterization, plot, and settings were all fabulous. Meyer does a really good job at creating a world that grew out of our own, but is different in almost every conceivable way. Yet you still could see our world evolving into Cinder's so it's believable. It's obvious before you even pick up the book that it's a play on the fairy tale of Cinderella, and I think it's one of the best retelling of any fairy tale that I've read in a good long while. The story of a mistreated orphan girl meeting her prince and losing her glass slipper has been transformed into a chaotic tale of plague, cyborgs, and devious denizens of the moon. Of course the slipper is still there...in the form of a rusted, miniature cyborg leg. SO...plot-wise there is a TON going on in this book apart from the traditional Cinderella story-line. It's been a few hundred years since people colonized the moon. The lunars have now developed into an almost separate species. One that has harnessed the power of mind control and glamour-like illusion. Even worse, they have developed into a cruel and warlike race that wants to take over the earth through covert operations, the instigation of a plague, and mind control. Flash to the Empire of New Beijing...what is left of Asia after the WWIII decimated the planet. Lin Cinder is working as a mechanic to support her step-family. A cyborg, she is treated like dirt by most of the citizens around her. If she was expecting love and care at home, she could forget it after her step-dad died, leaving her in the care of a woman who doesn't want her and a sister that makes her life miserable. At least she has her business and the hope of a better life to come...on the other side of the city, the Emperor is dying, leaving his son, 17 year old Kai, to finish negotiations with the Lunars that have gone on for years because of their unwillingness to negotiate. Kai's only hope is to find the missing Lunar princess who is the rightful heir to the throne and will hopefully be a better diplomat than the prissy, manipulative Queen Lavana. Queen Lavana was a particularly great character.She's manipulative, strong, beautiful, and quite capable of achieving her evil goals. When I find a villain that I can't stand...as in makes my skin crawl, terrifies me, makes me want to punch her in the face....then I'm really happy. There's nothing worse than a stupid or boring villain and Lavanna is far FAR from stupid or boring. She's flat out evil and I love it. You almost want to root for her to win in a perverse way because she is trying so hard and working at so many different angles to try and become the empress of the world. I mean, she created a plague to weaken humanity, plotted marriages, killed "shells", and builds armies of mutant moon creatures.She's a terrifying foe and I really enjoyed seeing her in action. It makes it all that much better when/if Cinder and Prince Kai find a way to defeat her evil plots. Speaking of evil...I am wondering if anyone else noticed that all the villains in this book are women. No seriously...it is NOT a good book for the ovarian sisters, because outside of Cinder (and the little girl Peony) EVERY evil character is a woman. From the Evil Stepmother, to the the Bitchy Step-sister, the Plotting Advisor, and the Evil Queen...maybe Marissa Meyer had a run in with the mean girls at her high school and never got over it because if a character is a woman LOOK OUT...she's probably going to try to kill you/sell you/publicly embarrass you. mumbo jumbo. There was a lot of stuff regarding the Lunar Princess and the Lunar people and the Emperor that was also extremely predictable, but it was still enjoyable to watch it play out. It was one of those rare instances where you actually are excited that what you guessed about certain characters was right instead of being bored. And the ending. Oh MAN have you guys got to check out this book...simply for the ending! There was everything you'd want, from an unraveling of all of the puzzle pieces, revealing the evil queen for what she truly is, and lots of drama and angst along the way...plus some twists that surprised even me. The closest thing I can think of is that scene in the ballroom when Kai decided-oh...wait...I can't tell you...you've gotta read it for yourself-*Grins evilly* But honestly, I cannot WAIT to get my hands on the next book because this story is one to remember. I really enjoyed Rebecca Soler as the narrator. She had such a crystal clear voice and you could really tell that each character had their own special personality just by the changing nuances in her tone. At times I even almost believed that there were multiple people reading for the characters, which is the mark of a truly fantastic narrator. My favorite voice way the way Rebecca chose to do Iko, Cinder's robotic sidekick. She was dripping in so much personality, you expected to look up and see her flying around your room wearing your prom dress and pearls. The one thing that I thought was kind of wonky was the fact that the story took place in what used to be China, but the characters all had American accents. Don't get me wrong, I understand that it's an American book, author,etc, and New Beijing is apparently a conglomerate of many countries and people...but I think they should have had some kind of Asian accent even if the book was in English. I know...I'm being picky...but that's my thoughts mkayy??? I give Cinder 5 Keys. It's a truly tasty book that you want to just devour. I'm not kidding...you're going to be nomming on the pages, licking the cover, and chomping down the dust jacket as soon as you get your hands on it....okay...maybe not LITERALLY nomming on it...but you get what I mean. I will admit that one thing had me bordering on giving a 4.5 rating. The cliffhanger ending. You know me. 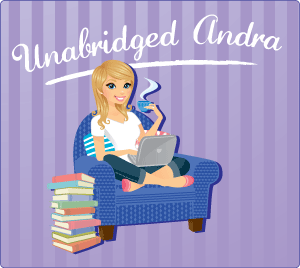 Cliffhangers are not my thing, nor have I ever really heard of a reader that enjoys them. I think authors should take a hint and stop doing it. I know...it makes you want, no NEED to buy the next book. But for some of us *ahem* it makes us fly into uncontrollable rages that last from 20 minutes to 3 days (depending on how quickly I can find either chocolate, ice cream, or the sequel) Despite the cliffhanger ending, I enjoyed the book too much to demote it for something like that. The relationship between Cinder and Kai is sweet and believable, the plot is full of fun twists and terrifying political intrigue, and the narrator makes you feel like you ARE Cinder. I seriously cannot WAIT for the release of book number two, Scarlet. Fingers crossed for a review copy!!! Now that you've read the review (hopefully...) You must be pretty excited! I am giving away my copy of Cinder to one lucky follower today! To enter just fill out the Rafflecopter below. You can come back every day to tweet and gain more entries, plus you'll get to participate in more awesome Audiobook week fun! 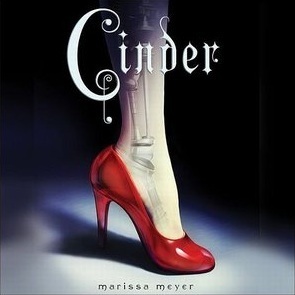 I LOVE fairy tale retellings, so I think you've totally sold me on CINDER! I have not listened to audiobooks yet, and as much as I LOVE this book, I definitely want it to be one that I try first. I never had an audiobook, but I would surely listen it in my car since I travel a lot for my work! Thanks for this chance!